We’re all used to skeleton jumpsuits. They always look like X-rays: black background and white bones. 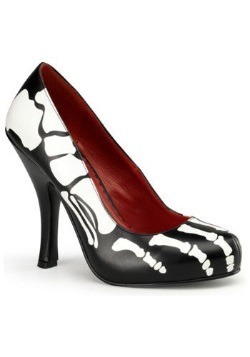 And if you want to be a little fancy, sometimes the bones are glow-in-the-dark. Hey, we don’t want to knock a classic. Most of the people in our offices wear a glow in the dark skeleton jumpsuits to work pretty much half of the time. But, what if you wanted to flip the switch a little…you know, subvert the system? 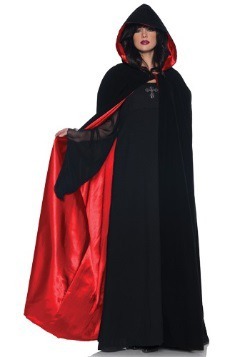 Then throw on this Women’s White Bad to the Bone Costume and turn tradition on its head! Seriously…nobody will know what to expect when you walk into a room with a black skeleton printed on a white jumpsuit. You might blend into freshly painted white walls, or pop against bright kitchen tile. You’ll look like a photo-negative of a skeleton, which is dynamic and creepy and also cool! People won’t have any idea what to do with this kind of inverted skeleton look. This stretch fabric jumpsuit is long-sleeved and is secured by a back zipper. Garter straps are sewn to the front and back of leg openings and also feature leg warmers that can clip on for comfort. And did we mention that a black boned skeleton is printed on the all-white jumpsuit? Because we’d love to reiterate just how nifty this inverted skeleton costume looks! 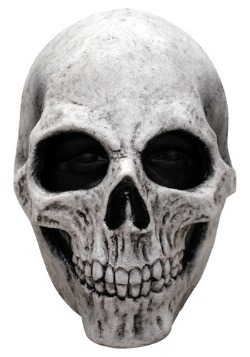 Feel free to accessorize with a skull mask or statement high heels to really draw attention to your bold style. 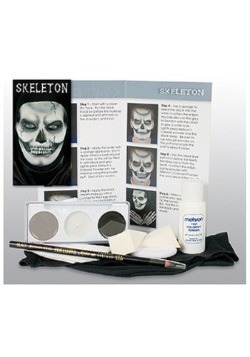 Have fun wearing a skeleton costume that’s just a little different from all the rest. Stand out in style, brighten up the skeleton pool, and see what kind of eyes you can catch. Remember that in this costume, you’re not just a skeleton, you’re unsettling and mesmerizing at the same time! X-Small/Small - $59.99 Only 8 left! Small/Medium - $59.99 Only 6 left! Medium/Large - $59.99 Only 9 left!